Grana Padano is an immensely popular cheese with a hard, grainy texture and a wonderfully sweet flavor. It is often compared to Parmigiano-Reggiano due to their highly similar texture, flavor and history, but Grana Padano is known for being slightly milder, creamier and less crumbly than its close sibling. With its pale yellow color and fruity aroma, Grana Padano offers a full-flavored taste that strikes a remarkable balance between savory and sweet flavors, making it a highly versatile ingredient that can be used in an expansive array of culinary preparations. Just how Parmigiano-Reggiano (the “King of Cheeses”) can claim very specific origins, Grana Padano has a similar history, with the northeastern Italian countryside being the epicenter of production for this unique cheese. First conceived in 1100 A.D. by Cistercian monks in the Po River Valley, the idea for Grana Padano was somewhat of a reaction to the surplus of milk that these highly skilled farming monks were able to yield from their abundance of livestock. Since food preservation techniques were far from sophisticated in the Middle Ages, much of the milk that was being produced on a daily basis was going to waste, even after the modest needs of the local population were fully met. After a long series of experiments, the monks came up with the idea to slow cook the milk and add rennet (curdled milk from the stomachs of young calves) as well as salt to help preserve the rich nutrients of the milk. The result was a hard, dense cheese that featured a robust flavor that matured with time. This slow aging process prompted the monks to name their novel creation “Caseus Vetus” (“old cheese”), but this moniker failed to stick with the local peasants who were not well-versed in Latin; instead, these villagers chose to call the cheese “Grana” due to its grainy texture, since the word “grana” means “grain” in Italian. As time went on, Grana Padano continued to increase in popularity, often being featured as the centerpiece in banquets during the Renaissance period, and being prized by nobility. For example, it is well documented that in 1504, Isabella d’Este, Marchesa of Mantua, sent this treasured cheese to the Dukes of Ferrara as a gift. Although the appeal and demand for this cheese has continued to expand throughout the centuries, Grana Padano is still crafted using the same techniques that the Cistercian monks perfected nearly 1,000 years ago, which has further helped to cement its place as one of the most well-loved and renowned cheeses of the culinary world. This aging period produces a distinctive straw-colored rind that is thick, firm and waxen. As the cheese continues to age, its flavors continue to increase in complexity, and its texture becomes more granular and crumbly. A typical wheel of Grana Padano cheese measures about 13 to 17 inches in diameter and about 5 to 7 inches in height, and is sold according to the aging periods listed above. Grana Padano shows quite a bit of similarity to Parmigiano-Reggiano in terms of fat, protein and calorie content, but it is higher in calcium and lower in cholesterol and sodium. One tablespoon of shaved Grana Padano Riserva will yield a modest 20 calories and 1.5 grams of fat, along with 35 mg of sodium and 2 grams of protein. Grana Padano is also lactose-free, which makes it a suitable choice for those who have certain dietary restrictions due to lactose intolerance. As mentioned earlier, Grana Padano is a highly granular and crumbly cheese, which lends itself to being useful for various culinary applications. You can grate it over pasta, risotto, soups, cooked vegetables, salads, etc., and it pairs great with an amber ale or Barolo when adding it to a cheese plate. You can also slice Grana Padano with a cheese slicer, or even break it into pieces as needed. 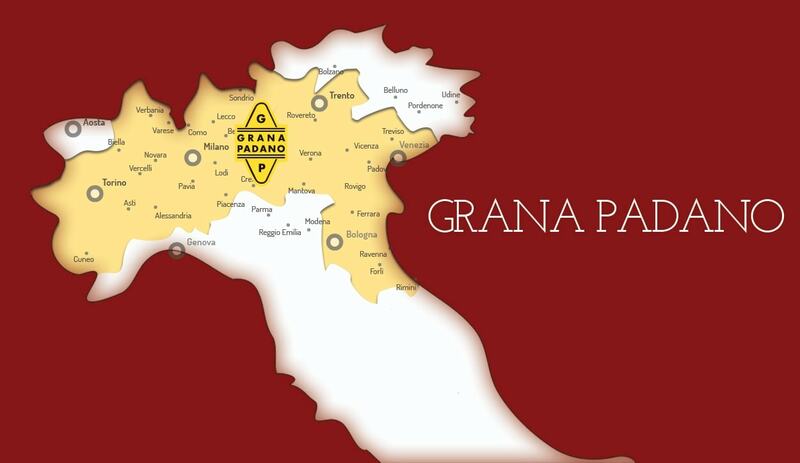 The rich history of Grana Padano cheese is definitely worthy of careful preservation, which is why the Grana Padano Protection Consortium (Italian: “Consorzio per la Tutela del Grana Padano”) was established in June of 1954. 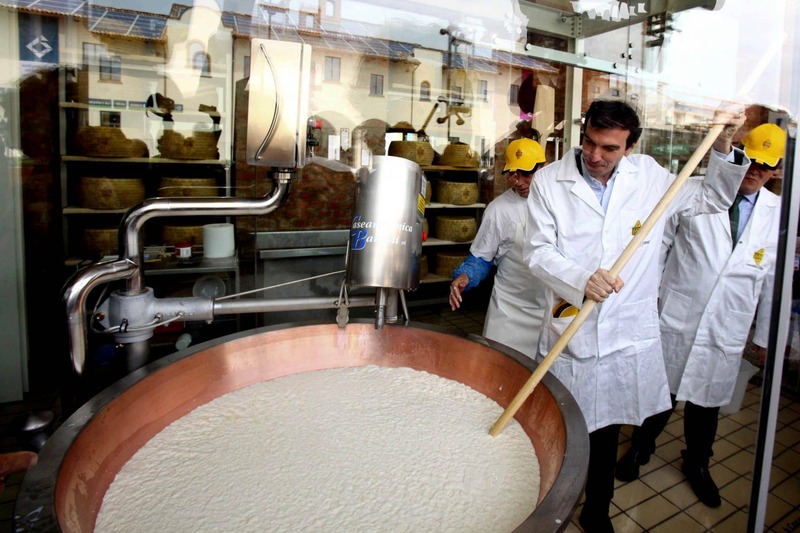 Comprised of a federation of dairy farmers, cheese artisans and cheese retailers, the Consortium was created in order to clearly identify, preserve and honor the techniques and traditions of Grana Padano producers that have remained virtually unchanged since the time the cheese was introduced by the Cister cian monks of old. 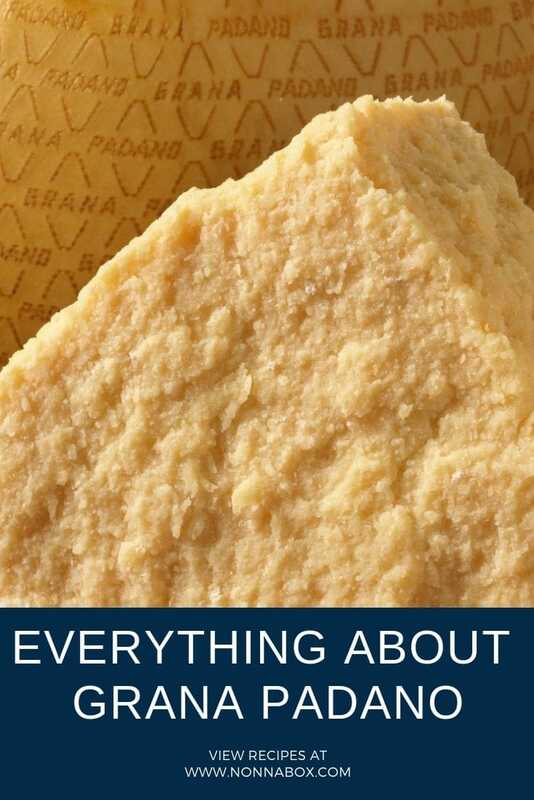 Whereas the term “Grana Padano” was traditionally used as somewhat of a generic label for this world-renowned cheese, the Consortium established legal grounds to ensure that this title would only apply to the Grana Padano that was produced in a designated geographic region, using specific raw materials, and utilizing only certain time-honored techniques and procedures to preserve the uniqueness of the cheese. For cheese lovers all over the globe, Grana Padano has a stellar reputation that is beyond reproach. To say that this unique cheese is “tasty” would be stating the obvious, because what else could its slow and deliberate aging process produce but a highly complex, delicate and well-balanced flavor? For world-class chefs and home cooks alike, Grana Padano provides that “magic touch” that can bring a new level of richness and complexity to a wide variety of dishes. It is these qualities–and many more that have to be experienced first-hand–that help distinguish Grana Padano from all other cheeses.